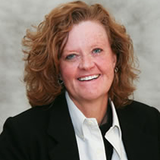 Eileen Frances-McInerney Starr, MSW, LCSW, PhD, is an Assistant Professor in the Department of Social Work at Metropolitan State University-Denver. She has extensive experience in community based clinical and private social work practice, supervision, and program development/management in marginalized and conflicted communities. Her research interests are resiliency, integration, and cross-community programs in conflicted areas, and improving the lives of children, adolescents, and families, especially in marginalized and vulnerable populations. Her international efforts have focused on cross-community programs that strive towards decreasing violence, increasing tolerance, and goodwill to support children and youth in divided societies where community and sectarian violence exists. Dr. Starr continues to explore opportunities to assist conflicted and underserved communities as they work to address the needs of their neighborhoods, towns, and cities. Further, she continues to be active in her clinical practice at Mid-Atlantic Behavioral Health LLC, Newark, Delaware, USA, meeting with her clients via a tele-health format. She returns to her home state in the summers and breaks during the academic year to connect with her clients in person. Dr. Starr sees tele-health as an excellent and evolving tool, especially with the push towards integrated heathcare, serving populations whose access to services are often limited. Additionally, continuing to be active in private practice allows her to keep her clinical skills honed and relevant, transferring these skills to an academic setting by teaching clinical courses to graduate social work students. In her spare time, Eileen takes advantage of the amazing outdoor opportunities available in her adopted state of Colorado. She also hopes to return soon to coaching girls basketball, which is another passion as a former college athlete, high school coach, and basketball official. Part-time clinical staff serving primarily children-adolescents, and their families. Supervisor School Based Mental Health Program serving elementary, middle, and high schools in Cecil and Harford County Maryland. Upper Bay Counseling and Support Services.